The program is focused on prevention by helping individuals improve aquatic skills, achieve wellness goals, and gain skills to stay safe or prepare for an emergency. This program helps to decrease risk factors for negative outcomes, increase positive results related to health and quality of life, and reduce the effects of chronic diseases through intervention and prevention programs. The YMCA of East Tennessee’s Teen Leadership Development Program’s goals are to meet each teen at their individual level academically, socially, and physically and help them excel to reach their potential in these three areas. These goals are met through a menu of choices catered to individual specific talents and interests. Key aspects of the program include mentoring/academic enrichment, leadership skills training, meaningful volunteer work, job training, physical fitness, and nutrition education to give teens an early advantage in life. 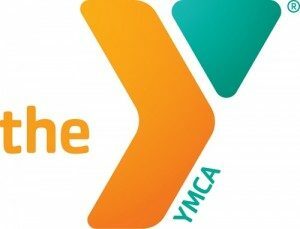 The YMCA of East Tennessee is committed to providing elementary school age children high-quality childcare and out-of-school activities to support academic achievement, social-emotional development, wellness, and skills for life. We provide after school childcare, summer camp, Power Scholars (a new summer school model program), home school support, health and nutritional education services. United Way resources are directed to children in impoverished situations to help us serve our community’s most vulnerable children.